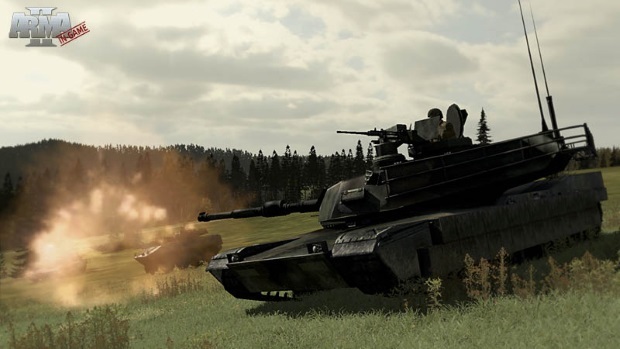 Bohemia Interactive is pleased to announce the release of update 1.63 for Arma 2: Operation Arrowhead (changelog). Besides the numerous fixes and optimizations which were introduced during the 1.63 beta program which covered almost a 2 year period for this iteration of the engine, the update focuses on the transition of the multiplayer from GameSpy matchmaking to Steam. As you may have heard, GameSpy is discontinuing its services and it was therefore of paramount importance to offer an alternative for the passionate Operation Arrowhead players who have supported our game and our company for so many years. Due to the fact that Steam based matchmaking requires Steam to work, this update is only available through Steam. If you have purchased a retail copy of the game, please do not despair. As announced previously all Arma 2 (including DLCs and Operation Arrowhead expansion) keys may now be activated on Steam. Just follow this walkthrough (link), take your Arma 2 CD key, use it as a Steam product key, and the game will be added to your library. For our other games affected by the GameSpy shutdown, but not updated to work with Steam (Arma 1, Arma Cold War Assault, Take On Helicopters), and also for those players who wish to stick with the older non-Steam version of the game, we have implemented a system to help host and connect to servers even without a functioning GameSpy – http://master.bistudio.com/. Here server owners may add their servers and players may use the listed IP addresses to connect to them. Also to help players overcome difficulties we have added a number of articles for each game to our FAQ (link) and as always our technical support staff is ready to help via support@bistudio.com. The support-style mage, Spellbinder will be MU Legend's 5th class and is coming later in March 2018. CCP Games announces the early sales of tickets for EVE Fanfest 2015 and EVE Vegas.